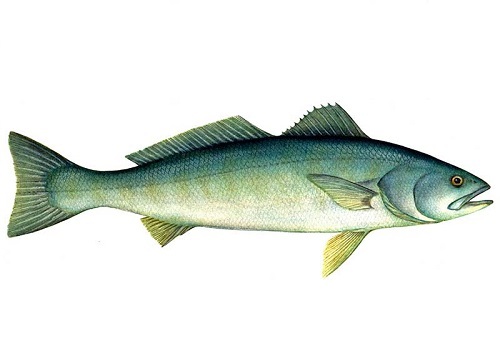 White seabass caught by handlines and hand-operated pole-and-lines are recommended due to their stable stock status and minimal bycatch. Production in the handline fishery have increased since 2013, from 0.4 mt to 25 mt in 2015, after averaging around 2 mt between 2008-2013, and exports are negligible. Stock status is considered to be stable and not undergoing overfishing, although the stock is shared with Mexico, where fishing levels are unknown. Management conservation measures are considered effective overall, but the most recent stock assessment information needs to be incorporated into the management plan. Habitat impacts are minimal and while no spatial management or other policies to protect ecosystem functioning are currently in place, a multi-species, ecosystem-based management approach is in development. White seabass caught by set or drift nets remains not recommended due to impact on other species, with a risk of entanglement to humpback whales and white sharks, although interactions are rare. Production in net fisheries has decreased between 2011 and 2015, dropping from 198 mt in 2011 to 64 mt in 2015. The net fisheries make up between 62% and 98% of the catch, compared to by hook and line, and exports are negligible. Stock status is considered to be stable and not undergoing overfishing, although the stock is shared with Mexico, where fishing levels are unknown. Management conservation measures are considered effective overall, but the most recent stock assessment information needs to be incorporated into the management plan. Habitat impacts are minimal and while no spatial management or other policies to protect ecosystem functioning are currently in place, a multi-species, ecosystem-based management approach is in development.